The Metropolitan Police offers some advice spotting potential pickpockets and avoid losing your belongings to one. These include people loitering in public places who appear to be checking out passers-by, paying particular interest to their handbags, shopping bags and where they might place their wallet or purse. For example, be aware of individuals who appear to be focusing their attention on the waist area of others. The Met see this as a strong indication of criminal intent and probable theft. But do bear in mind the fact that some people are naturally shy and do avoid eye contact. Always follow your instincts. 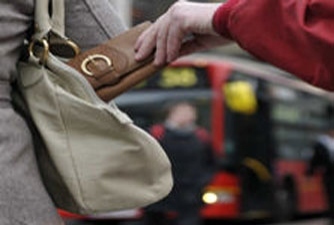 Pickpockets also operate in shops and department stores, where people are more likely to be standing still, distracted and so paying less attention to their belongings, making them an easier target. Be more aware of your surroundings in busy shops and shopping centres because they’re ideal places for pickpockets, as it’s easier for them to brush past people, take items and blend into the crowd. 1.Don’t hang stuff on the back of a chair. 2.Don’t leave anything on the back of a pushchair. 3.Don’t place your belongings out of sight on the floor. By londonvisitors2014 in Security on June 30, 2017 .